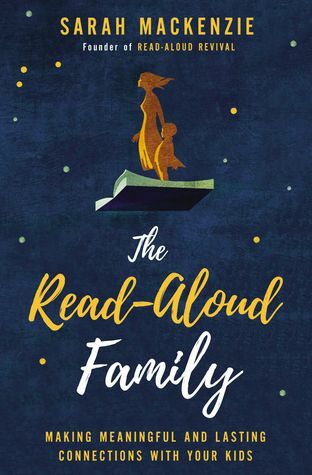 The Read-Aloud Family is the inevitable book to arise from Sarah Mackenzie's inexplicably popular Read-Aloud Revival podcast and website. In this book, Mackenzie tells how she first discovered reading aloud, and then provides advice for doing so with supporting anecdotes from her own life. The book concludes with a series of annotated book lists. I have long felt that the success of the alleged "Read Aloud Revival" that Mackenzie champions is a bit of a hoax. Though Mackenzie claims she only discovered reading aloud for the first time at age 20, when her oldest child was a baby, this should not suggest to anyone that reading aloud was a lost art that Mackenzie has single-handedly resurrected. In Orthodoxy, G.K. Chesterton talks about the man in the yacht who thinks he has discovered England, not realizing that anyone has landed there before him. He was talking about his journey toward the Christian faith when he wrote about how he "fancied [he] was the first to set foot in Brighton and then found [he] was the last," but I think it is also an apt metaphor for describing Mackenzie's relationship to reading aloud. She had never considered the importance of reading aloud, and therefore she assumes no one else has either. But most of us have been here in England all along. Though the book is published by a Christian publisher (Zondervan) and is labeled as a Religion book right above the ISBN on the back cover, there is next to nothing in this book about how Mackenzie's faith informs her family's read-aloud culture. There is an assumption on her part that the reader desires to raise Christian children who love God, and she includes recommendations for Bibles, and makes casual references to parables, but she completely misses the opportunity to provide Catholic families like hers with any advice unique to their (our) particular values and morals. This would have been the only redeeming quality of the book for me, and it was just not there. The book lists in the final section of the book are very hit or miss. Some of the books are so new, it seems foolish to put them on any kind of list without knowing how they'll stand the test of time. Others are books written by Mackenzie's friends, all of whom have blurbed the book and appeared on her podcast, and most of whom are mentioned multiple times in the text of the book. The lists are also very short - there are dozens of blog posts and library websites out there that provide more comprehensive lists. The countless positive reviews of this book are baffling to me. As I've blogged about before, reading aloud is not that hard to begin with, and, frankly, if a handbook is needed, Jim Trelease has already taken care of it. The fact that The Read-Aloud Family is so popular with #bookstagrammers and other parents who already read to their kids makes me think it's less about the quality of the book, and more about the fact that the content reaffirms what these readers already know and experience. But I am seeking more than just a pat on the back when I read books like this, and this one had nothing else to offer me. 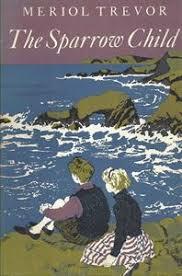 My recommendation would be to skip this book and instead look for Annis Duff's wonderful books Bequest of Wings: A Family's Pleasure with Books (1944) and Longer Flight: A Family Grows Up with Books (1955). Not only is Duff an expert (she was a librarian), but she also writes beautifully and in great depth about her family's relationship to books. Next week, I will begin my journey as a homeschooling mom. My oldest daughter is not technically old enough for kindergarten in our state (the cut-off is September 1st and her birthday is around Thanksgiving), but she already reads and does basic math and I don't see a reason to hold her back for a year when we plan to homeschool all the way through anyway. So our first day of school will be September 5th and she will start her unofficial kindergarten year. Her younger sister, who wishes to be included, will also be doing some preschool. Today, for Top Ten Tuesday's back to school topic, and also in response to Blog All About It's August prompt of "beginning," I want to share some of the books we'll be using as we start homeschooling. We'll start using this book for science this year, and see how far we get. It seems like a good fit for me because it provides resources and information on the topics to be covered, but it doesn't give a rigid structure for actually teaching the material so I can adapt it to suit our family. The first topic we'll be covering is organizing things into categories, so I've also found a few books to cover that subject, including Like and Unlike: A First Look at Classification by Solveig Paulson Russell (which we own) and a series of books about sorting by Lauren Coss, which are available from our library through Hoopla. Eventually, I will be teaching history in chronological order according to the classical trivium, but I wanted to take some time to introduce the concepts of history, the past, and the passage of time first. This book, which focuses on a child's personal and family history as well as the history of her home and town, seems like the perfect way to introduce these ideas. The audience for the book is definitely upper elementary, but I am sure I'll be able to simplify things for my daughter's level. My daughter already reads at around a third grade level. As she continues to hone her reading skills, I plan to start teaching her the parts of speech. These books, which are available through the library from Hoopla, combined with Mad Libs and Schoolhouse Rock videos will be the means by which I introduce nouns, verbs, adjectives, adverbs, etc. My husband started our daughter on Singapore Math months and months ago and this is where she left off. We'll pick up here and see how she progresses as time goes on. Just looking over the problems, it seems like this will be fairly easy for her, but there is no rush! This is the book I'm planning to use for my preschooler's "curriculum." She loves to sing, and this book provides a bunch of extension activities for a variety of favorite children's songs, so it seems like it will be a good fit. I don't plan to do very much in the way of formal teaching with her. This will just be a way for her to have fun one-on-one with me for a little while each day. This is how my oldest daughter learned to read, starting shortly after she turned 3. My plan for right now is to use it to introduce letter sounds to my second daughter. How she does with that will determine when we get into the rest of the book. These are sweet, vintage magazine-like publications for Catholic kids. We originally tried to read them during Lent last year but never finished, so I'm hoping to use them as read-alouds throughout the first few months of our school year. This will be in addition to my daughter continuing to memorize the St. Joseph catechism. These books will of course be supplemented by lots of read-alouds and lots of independent reads for my oldest daughter as well. 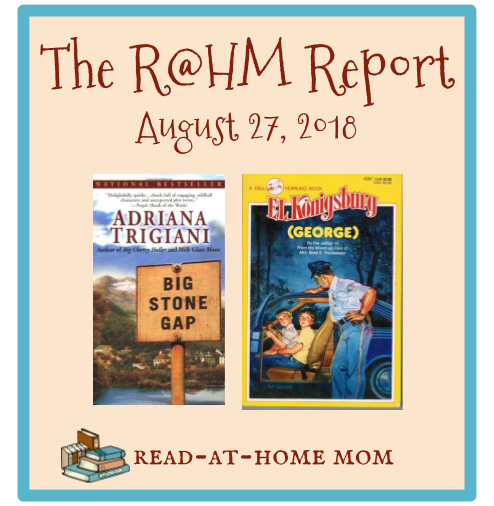 I will be sharing more about those in my Read-at-Home Kids Reports in the coming months! The only way I can describe this book is as A Beautiful Mind for tweens. I liked it a lot, but it messed with my head. I'm planning to post a review on the blog in September. This one was a little weird. I liked the voice of the main character - it's very similar to the author's Nate the Great - but the story felt somewhat thin and disorganized. This book was pretty par for the course for this series. 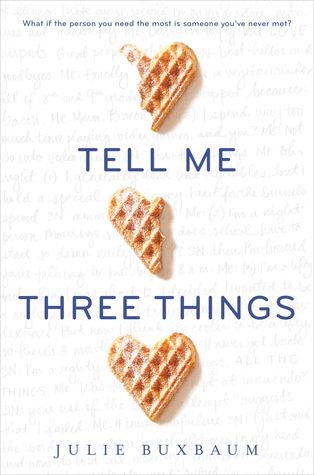 I definitely don't think it would make sense if I hadn't read the first three books, so I probably wouldn't recommend treating it like a standalone. I started listening to the audiobook of this, which is read by the author, and it was wonderful, but I was so into the book I wanted to read faster so I wound up switching to the book after about 100 pages. I know this book has been recommended to me before - I don't know why it took me so long to finally read it! This is a quick read that I had hoped to finish over the weekend, but I didn't quite make it. I will most likely finish it today. I heard about this book from @everydayreading on Instagram. I normally would prefer to read the print version, but my library only seems to have the audio. I'm not sure yet that I will finish it just because audio is not my preferred format for parenting books. I didn't get to spend much time on this book this past week, but I'm getting back into it now. Though it's about getting kids to develop the habits of lifelong readers, it's giving me a lot of food for thought and potential ideas for future blog posts about my own "wild reading." This is one of only two Louise Penny books I do not own, so I decided to take the opportunity to listen to one from this series on audio. Ralph Cosham is great, and this book, though very different from the first few Gamache books, is intriguing and well-written. One of the challenges I am trying to complete this year has a Nora Roberts category. I decided to go with an older book that I have been wanting to read for a while. I have only read the first two pages, but I'll dig in a bit more after I finish a couple of these other books. Philip Sparrow is spending the summer with some of his mother's family at Corben Place. There he learns of a family legend which states that an ancient chalice has been hidden somewhere on the property. While the adults debate the future of the house itself, and the rightful place where Mirabel, an orphaned cousin, ought to live, Philip concerns himself with searching for the long-lost grail. Published in 1958, this book is one of Trevor's earlier works. Of the ones I've read, two come right before this book (Sun Slower, Sun Faster (1957) and The Other Side of the Moon (1957)) and two more (my favorites, Shadows and Images (1960) and The Rose Round (1963)) come a few years after it. Though this book feels more simplistic and less polished than The Rose Round, both stories have similar themes, and in some ways it feels like The Sparrow Child was a way for the author to explore some of the questions she really covers in depth in The Rose Round. Themes in both books include elderly relatives near the end of their lives, people who wish to control everyone around them, the impact of disabilities on the lives of the disabled and their caregivers, and the idea of home and what constitutes a good one. Interestingly, The Sparrow Child doesn't really include any of the supernatural events that help Trevor's other books resonate so much with the reader - perhaps this is why it felt less rich to me. Also present in this book, as in all of her others, is Trevor's unwavering devotion to her Catholic faith. There are so few authors who write authentically Catholic books for kids, so I am very thankful that Trevor did write every story from a Catholic point of view, and didn't tone down the religion in order to appeal to a wider audience. I am always puzzled when I see reviews on Goodreads that say things to the effect of "Well, I know her books are always Catholic, but this one had too much religion in it." If you knowingly pick up a religious-themed novel, why would you then complain when the book was religious? For Catholic families, books like this one, where the existence of God is seen as a given, and where the Catholic church is unquestionably the one true church, are such a gift, and we have so few. To see readers giving them negative reviews simply because they are Catholic is very frustrating. Meriol Trevor's books are hard to find and can sometimes be expensive to purchase. If you come across this one and it's available for a great price, I would definitely recommend snatching it up. If, however, you are looking to spend a limited book budget on only a few of her titles, this book is probably not one I would make a big priority. For me, the must-haves are The Rose Round, Shadows and Images, and Sun Slower, Sun Faster - in that order. Jamila (Mila) and Metai (Tai), who live across the street from each other in a low-income housing project, have been good friends for a long time. Their friendship is strained these days, however, for a variety of reasons. After staying with her aunt in the suburbs for a few weeks, Mila suddenly objects to being called her childhood nickname of Bean and she doesn't want to spend time at Tai's house. Tai, on the other hand, is becoming more and more interested in getting a commitment out of her long-time crush, Rollie, while she also deals with the erratic behavior of her drug-addicted father. Additionally, both girls, and many of their other friends, are interested in auditioning for the new Talented and Gifted (TAG) program, but worry that with so much competition they may not be accepted. I immediately recognized Paula Chase as the author of the Del Rio Bay Clique series, which I remember ordering for my library back when I was a teen librarian, and which was hugely popular. 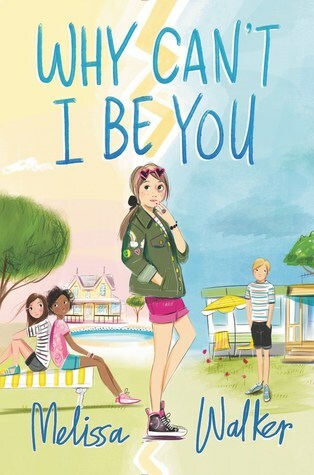 This book, though written at the middle grade level, is set in the same community, and judging from how well-written it is, it is also likely to be very popular. So many middle grade friendship stories are set against very generic middle class backgrounds where all the characters talk, act, think, and sound the same. This book, by contrast, makes great use of slang and local color to make the characters sound real and authentic, and develops its setting in such a way that it is not just the backdrop of the story, but an integral part of the way the plot unfolds. Despite the fact that I wasn't familiar with a lot of the slang or subject matter, I was completely drawn into this world and fully invested in the well-being of both girls and in their hopes for getting into TAG. I can imagine that kids who do get the cultural references will be that much more immersed in the story. There is some mature subject matter in this book that definitely places it at the higher end of the middle grade spectrum. Both Tai and Mila have parents who use drugs, and though it is never explicitly stated, it is clear that Tai's mom and dad were teen parents. 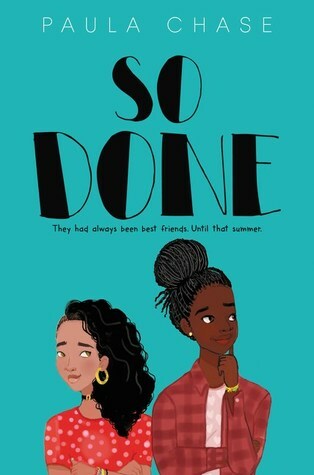 There is also a troubling incident involving Mila and Tai's father, which, while handled gracefully by the author, with a clear-cut resolution, might be too much for some readers, especially those who are used to lighter friendship books. For that reason, I think of it as more appropriate for middle school than elementary school readers. Still, there are plenty of positive role models in the story, and the overall focus is on hope and healing, not on darkness and despair, as is fitting for a middle grade novel. I had intended to be back into the regular routine of reading and posting last Monday. Sadly, right in the middle of our big move to our new house, my dad passed away, 15 months after suffering a debilitating stroke. Although the fact of his death was not a shock, since we knew it was likely to be sooner rather than later, it was still a really stressful situation. Because we had to travel for the wake and funeral, we lost an entire day from our moving plan and had to scramble to get everything done. I didn't read a single book for the first 10 days of this month, which is basically unheard of! Thankfully, things are beginning to calm down, I'm settling in to our new home, and I've been reading with a vengeance. I'm excited to really get back on track with the Bout of Books read-a-thon this week. As that kicks off today, here's what I've read lately and what I will be reading this week. 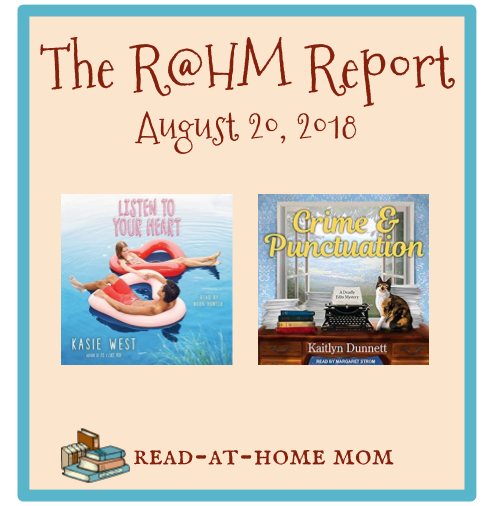 I have really enjoyed every Kasie West book I've listened to this summer. Though I don't usually like stories about mistaken identity and misunderstandings, this one was written so well that I didn't feel the usual discomfort I associate with these storylines. 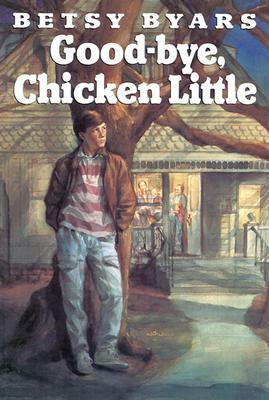 This was a pretty generic middle grade story. It wasn't bad, but it didn't really grab my interest. I finished it because it was short. I really enjoyed this cozy mystery, which is set in Sullivan County, NY, not far from where my mom lives. References to my local newspaper, and the city of Middletown, where I frequently went as a kid, and the overall small-town feel made me love the book even though the mystery itself unfolded kind of slowly. I also loved the audiobook narrator and will definitely look for other books she has read. This was every bit as disappointing as I expected, and I have no idea why people rave about this book. I'll save my in-depth comments for my review, coming soon. This book really needed a good editor. There is also some misinformation and just outright bad advice that reveals the author's lack of expertise on the subject matter. 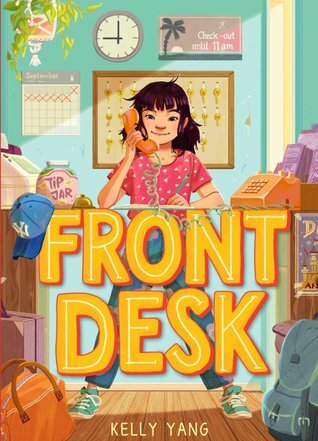 Though this book is directed at public school teachers, I enjoyed reading about how the author encouraged her class to love reading by giving them lots of time in school to both read and write. This was a very light read, and at times I found myself wanting just a bit more description. The dialogue-heavy text made the story feel rushed at times. I thought it was neat, though, that the characters were all named for real people who had won the chance to see their name in one of the author's books. All of the names fit their characters perfectly, and I never would have guessed that the author didn't make them up. The Noodle Shop Mysteries series is my favorite cozy series right now. I love that Lana is a younger protagonist and I enjoy all the supporting characters and the plaza setting. The writing is really excellent, and I think a lot of women in their 20s and 30s can relate to Lana. Book 3, Murder Lo Mein, comes out in March, and I'm already counting the weeks. I started this audiobook but it never really hooked me. I abandoned it about a third of the way through. This book has the strangest premise of all of Konigsburg's odd titles. It's about Ben, a boy with a high IQ who has a secret twin named George living inside of him. I've avoided it for a long time because it sounds so weird, but the writing is so good I am finally taking the plunge. This is the follow-up to The Book Whisperer which focuses on teaching kids the habits that will turn them into lifelong readers. I've only read the introduction and a bit of the first chapter, but I'm enjoying it already. I randomly picked this up from the shelf as we were unpacking books, and I love the tone and writing style. It will be a quick read that I will probably finish by the end of today. I have listened to the first hour of this audiobook and I already love it. The author has a great reading voice, and her main character's sassy comments make me laugh. In my last RAHM report, I said I was planning to read this on the last day of July for the Christmas in July read-a-thon at Seasons of Reading, but I didn't get to it and haven't had a chance to pick it up again since. I'm not really currently reading it, but it comes out in mid-September so I'll get back to it soon. All week, I've been sharing reviews of the books by Fred Bowen that I have read. Today, I'm happy to share an interview I recently conducted with Fred over email. 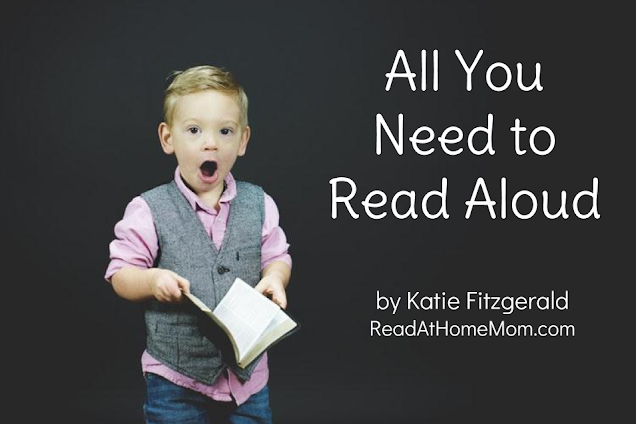 Read-at-Home Mom: One of the things I admire about your books is the way each story teaches a character-building lesson without preaching at the reader. When you're writing, do you set out to tell a story with a particular moral, or does the lesson present itself as you go? Fred Bowen: First, thanks for saying my books are not preachy! I think that any heavy-handed message would turn readers away. My sports books for kids ages 7-12 are a balance of three major elements. First, I want to tell a good story. If you don’t have a fast-moving, interesting plot with sympathetic characters the kids will put the book down. Second, I want to teach the kids something about the sports they love. That’s why I weave some sports history into the plot and always include a chapter of real sports history at the end of the book. Finally, I definitely want to include a lesson that kids can learn from the story. But the lesson is always an intrinsic part of the sport. So in Outside Shot (Peachtree 2017), for example, Matt sees himself as a shooter, the kid who is going to score a lot of baskets. The lesson he learns over the course of the season is to not define himself so narrowly. He can be more than he thinks. Matt learns that lesson through playing basketball. When I start a book I have a good idea of what the history and lesson contained in the story will be. As I work out the plot I am always thinking about how to emphasize (without preaching!) the history and the underlying lesson. RAHM: Each of your books involves scenes where kids play in sporting events, requiring you to describe a lot of physical action very clearly and concisely. Do you have a particular method you use to organize all the logistics of these scenes? Are some sports harder to capture on the page than others? FB: I outline my books extensively before I start writing. First, I develop the “arc of the story” by figuring out what has to happen in each of the chapters (my books are usually 15-17 chapters and about 120 pages). That arc is usually a few typewritten pages. Next, I write out (in longhand!) a first draft of the book using two, 100-page (6” X 9”) notebooks. This is where I work out the dialogue and the details of the action, including the action in the games. I am not trying to be perfect in this draft. I am only trying to figure out what goes where and who says what. After I have worked out those details in my notebooks, I begin to type up on the computer the first “official” draft of the book. I am trying to be as perfect as possible with this draft. I should emphasize that things are always changing in this process. I am adding and deleting scenes, emphasizing certain themes more, developing the characters. It’s a lot of fun! And yes, some sports are harder to describe than others. Baseball is easy because you can summarize the previous action quickly and then “drop into” a dramatic moment in the game and describe it in more detail. Basketball and football are similar in this way. I find soccer the most difficult to describe because so much of the action does not lead to any significant result. Many soccer games are 60-90 minutes of barely differentiated action punctuated by one or two goals. I played and enjoy the game but it is hard to describe. RAHM: Your books also always include interesting information about sports figures of the past. When you were growing up, which sports heroes inspired you? FB: I didn’t really have sport heroes in the traditional way kids have heroes. I had favorite players and favorite teams – go Red Sox and Celtics! – but I did not have sports heroes as such. I think I sensed (probably through my family) that just because someone was great at sports this did not make him or her necessarily admirable in every aspect of their life. I have written a weekly kids sports column for the Washington Post since April 2000. I have often tried to convey this truth to my readers. Just because LeBron James is a fabulous basketball player does not automatically make him a good father, person or friend. He may be, but that is a separate inquiry. I think this is an important point to make to kids in our celebrity-crazed culture. RAHM: I heard you speak at the Gaithersburg Book Festival several years ago, and I remember you commenting on the number of names you need for all the teammates, coaches, and other supporting characters who appear in your books. How do you choose the names for all those characters? FB: I do several things to name the characters in my books. First, I check the Social Security website to see what names were popular ten years before the scheduled publication date of the book. Those names will be familiar to the kids reading my books. My wife teaches at a school in our neighborhood. So I look at the names in the student directory and mix and match first names with different last names. I also put in names of friends, friends’ kids and grandchildren, as well as kids who write me fan letters and emails. Finally, I am a big jazz fan so I will sometimes sneak in the name of a favorite jazz pianist, bassist or sax player in a roster or as an opponent. RAHM: Finally, for readers who have read all of your books, which authors would you recommend for them to enjoy while they wait for your next book? FB: I have written 22 chapter books for readers ages 7-12 and one picture book, so it is hard for me to believe that kids have read all my books. But I know kids have because I have met some of them. There have been times that I have met kids who knew my books better than I did! What I would encourage all kids to do is to read as often and widely as possible. If they like sports, they should read the sports section in their local newspaper. Get a subscription to Sports Illustrated or ESPN the magazine. I remember when I was young, my father encouraged me to read the sports section of the Boston newspapers. But after a while, he would only give me the sports section after I had read the front pages. This helped me develop a life-long interest in politics and current events. Finally, my parents always encouraged reading. They said we (the 7 kids in the family) should always be reading something. If someone asked us what we were reading we should always have an answer. Sure enough, we all turned out to be readers. My point is that kids (and their parents) should make a habit of reading. Find what you are interested in and then find a book about that subject. It isn’t hard but it takes more effort than turning on the TV or checking your phone. There are so many terrific writers for kids these days that if kids say they can’t find anything to read they aren’t really trying. If they like my books they should know my next book – a football book – will be published in the Fall of 2019. Thanks to Fred Bowen for these wonderful answers! I know I'll be looking for that football book next year! Lucky Enough is another great read from Fred Bowen, who consistently writes engaging sports stories for the middle grade audience. 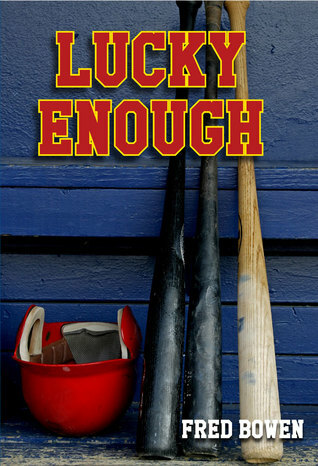 As he does in his other books, here Bowen combines real sports trivia (this time about the superstitions of famous baseball players) with an engaging life lesson (it's better to work hard than to rely on luck!) starring a child athlete who has been inspired by an influential adult (in this case, it's Trey's deceased grandmother). Trey is a sympathetic character, and the reader both empathizes with his desire to follow certain rituals during baseball games and understands his need to put in a bit more effort to improve his game. Supporting characters are also appealing, include Trey's well-to-do Uncle Dave who checks in on him and his single mom from time to time, and the groundskeeper at the ball field, Mr. Kiley, who is involved in the search for Trey's lost good luck charm, and Trey's realization that it may not hold as much power as he thinks. This is a book with appeal to a wide range of ages. Advanced readers in the lower elementary grades who need novel-length stories with age-appropriate content won't find anything offensive in this book, but kids as old as middle-school age can still relate to Trey and enjoy all the sports action, and the details of things like player stats and batting rosters. I've never read a book by Fred Bowen that I couldn't wholeheartedly recommend, and this book is no exception. I'm already eager to read whatever he writes next! Tomorrow, I'll be posting my interview with Fred Bowen, in which we discuss the lessons in his books, how he names all of his characters, and when his next book will be available. 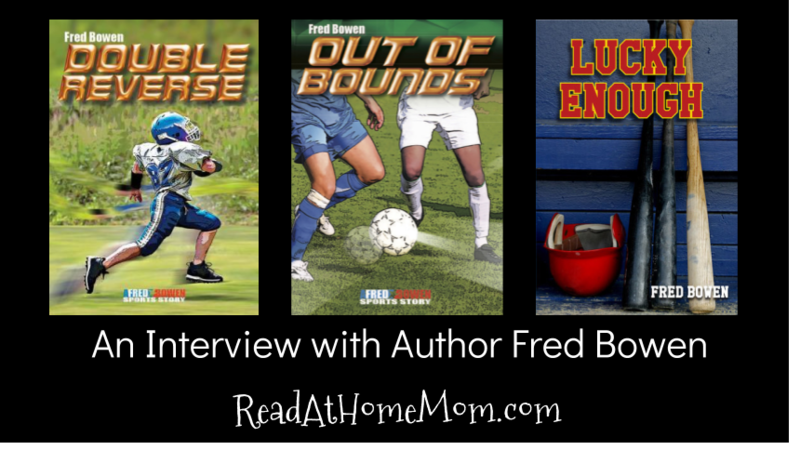 This week, I'm posting reviews of books by children's author Fred Bowen in anticipation of an author interview with him that will be published here on the blog this coming Thursday. This review was originally posted on Goodreads in 2015. Nate Osborne and his teammates on the Strikers soccer team want nothing more than to beat their rival team, the Monarchs in this year's championship. While it feels like the boys might be willing to do anything to win, Nate learns from his aunt, who is also a soccer player, that there are certain unspoken rules in soccer about fair play and good sportsmanship, including a tradition where game play stops when an injury occurs. At first, when Nate tries to put his new-found knowledge into action in a game, his teammates and opponents scoff at the idea, but ultimately, they all realize it is better for the best team to win based on ability alone, not because of the other team's misfortunes. 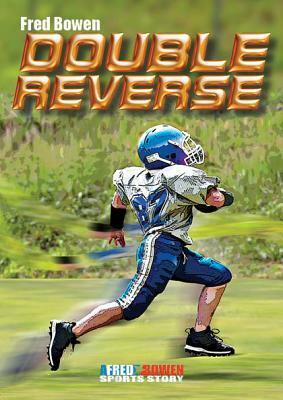 This book is another great addition to Fred Bowen's series of middle grade sports books. 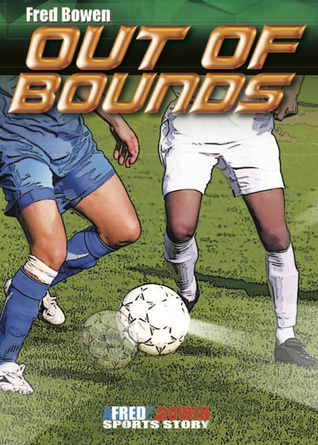 Like the others, Out of Bounds uses a sporting experience as a means of teaching an important life lesson, and in an afterword, ties the story to real-life examples from sports history. This formula works so well, and Bowen's writing is engaging, lively, and easy to read. What stands out most in this specific story is that Nate's role model is not an older brother or a famous soccer player, but his aunt. There aren't many books where female athletes mentor boys, and it is an interesting dynamic to explore. Especially fun is the bet Nate and his aunt have about who will score more goals in the season, the loser of which has to bake cookies for the winner. There is also a greater focus on statistics and standings in this book than in some of Bowen's other stories, which gives it a nice STEM connection, and also appeals to kids who like both sports and math. Also notable is the dialogue, which rings true as the real talk of middle school boys, but without a lot of the vulgarity and toilet humor that is often associated with this age group. Bowen's books are not just interesting, but wholesome too, which means parents are likely to appreciate them as much as their kids. Ever since his father died in a coal mining disaster, Jimmie Little has been very fearful. When, on a dare, his uncle Pete drunkenly walks out on thin ice and drowns, Jimmie witnesses the whole thing, and he and his mother both blame Jimmie for not stepping in to prevent the accident. When the surviving family members gather in memory of Pete, however, it becomes clear to Jimmie that he doesn't need to be afraid of facing life head-on because he can draw strength from his relatives. This book is one of the author's weakest. Though the subject matter should be very emotional, the writing style feels very detached, and it's hard to get into Jimmie's mindset. I was thankful in some ways that she didn't dwell more on the horror of Jimmie's uncle dying before his eyes, but I also felt that for an author who usually shows such empathy for her young characters, she didn't really have any for her protagonist this time around. While it is certainly comforting to surround oneself with family, it seems like, after losing both his dad and his uncle to accidents, Jimmie should probably need something more than a single family reunion to bounce back. The stakes were just too high in this book; Byars does better when the drama of a story takes place within typical everyday occurrences. If you need a book about grief and loss for kids, you're much better off with either On My Honor by Marion Dane Bauer (which is short like this book, but deeper) or the quintessential Bridge to Terabithia. Even big Byars fans, of which I am one, will find this book difficult to like.